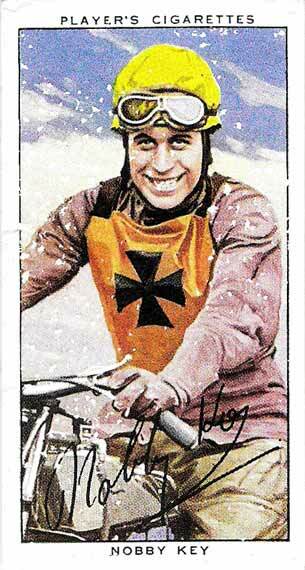 Sad that he had over 400 crashes, who was counting and can any modern rider beat Phil's crash record! 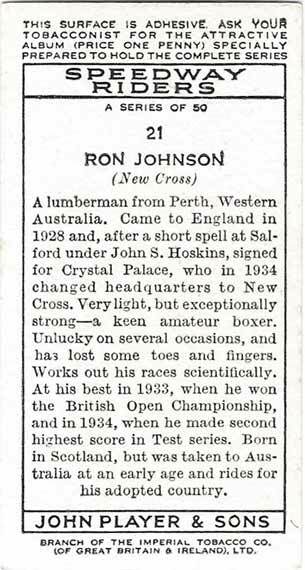 John Skinner says: I visited Gordon in 2004 at his home in Gosforth Newcastle upon Tyne, he was into his 90s, sadly he died later, a couple of years short of reaching 100. 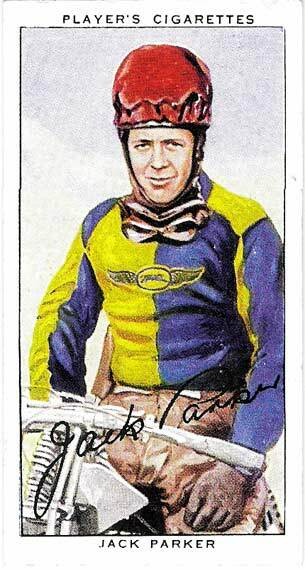 We discussed his speedway career and he was full of life and happy to talk about anything including speedway!. 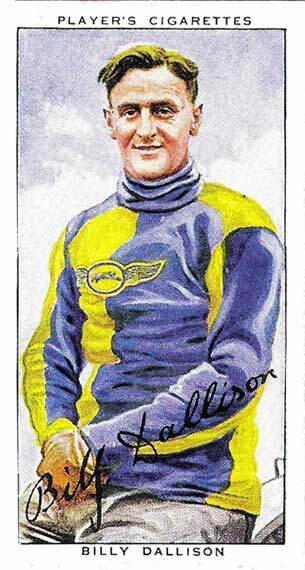 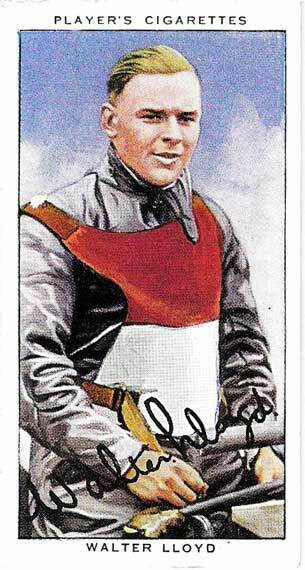 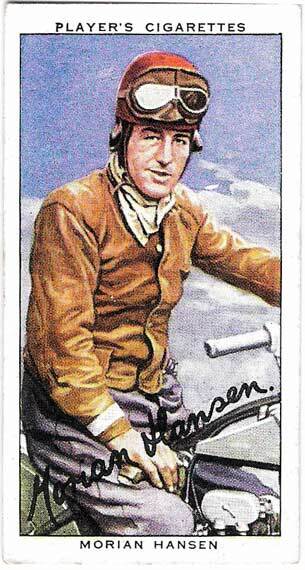 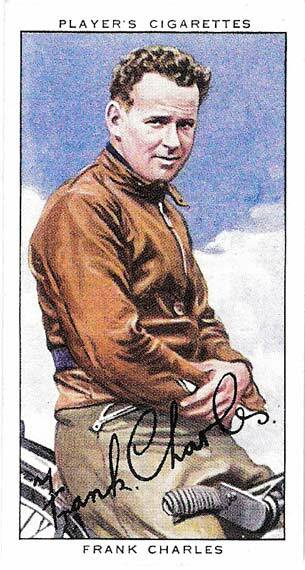 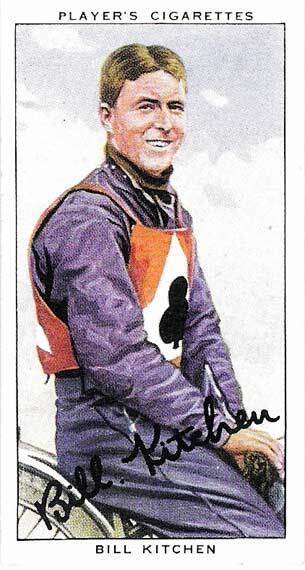 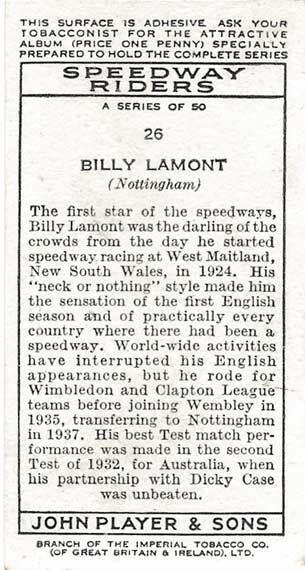 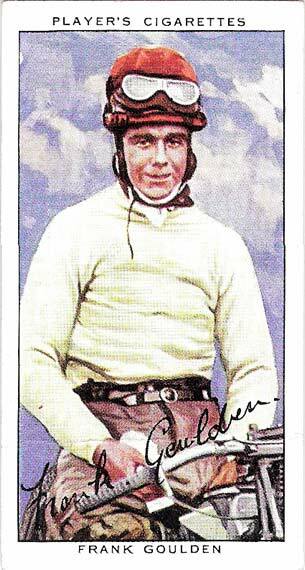 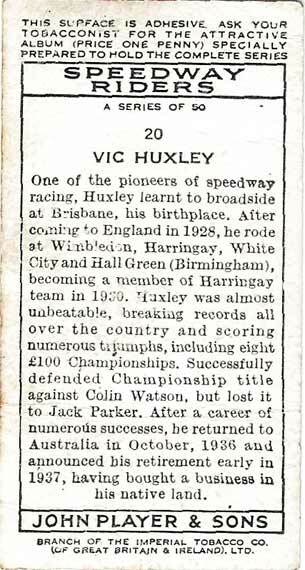 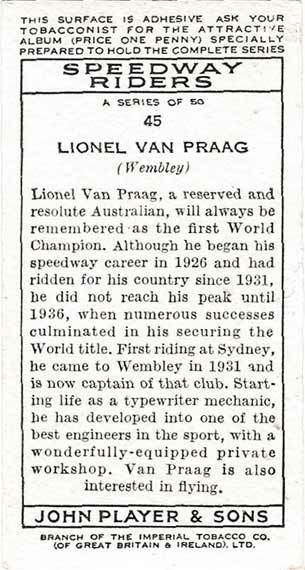 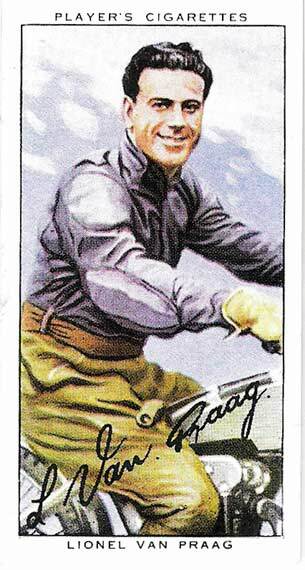 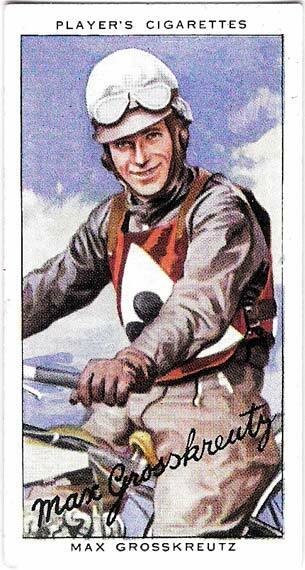 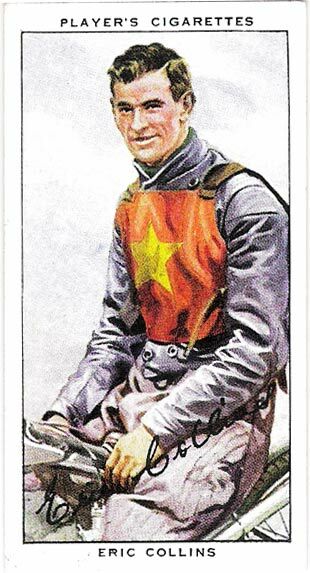 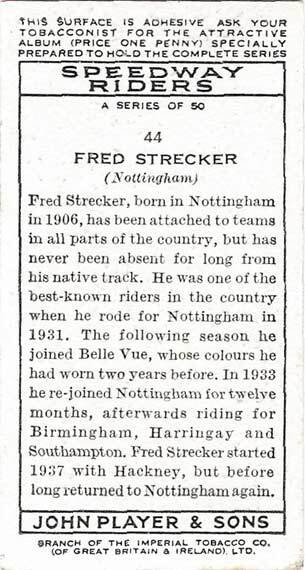 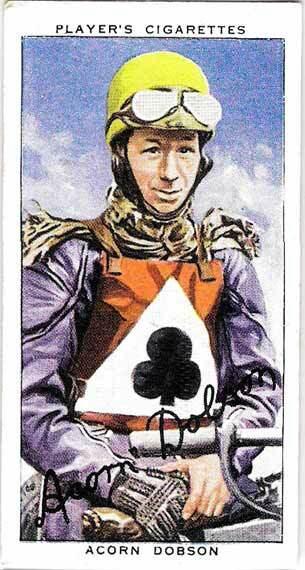 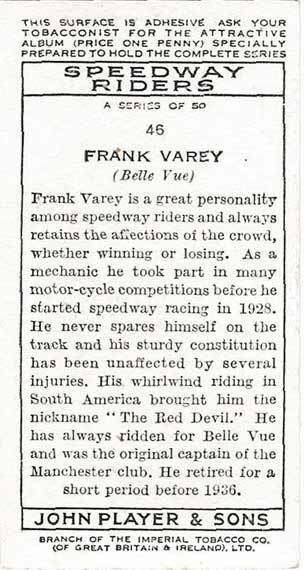 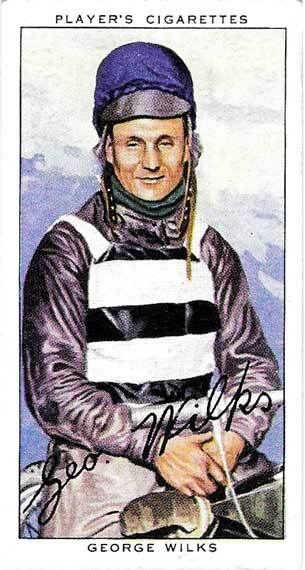 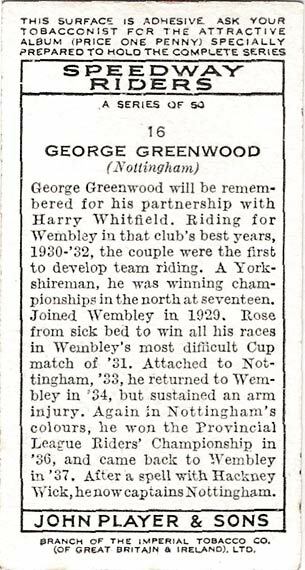 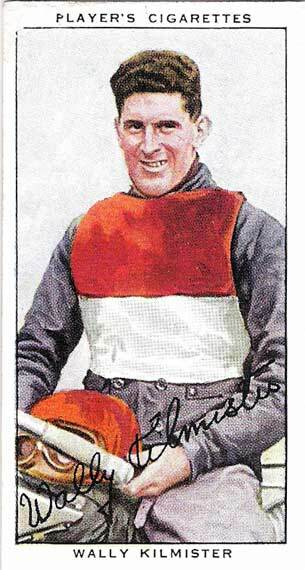 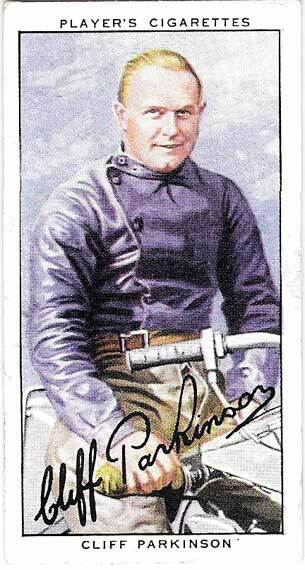 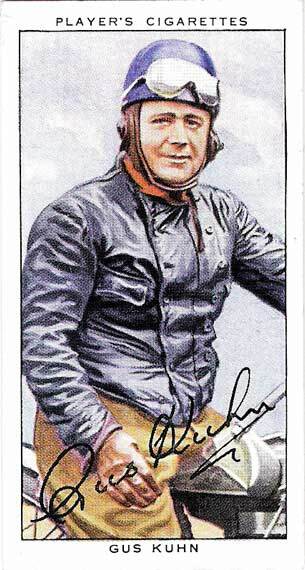 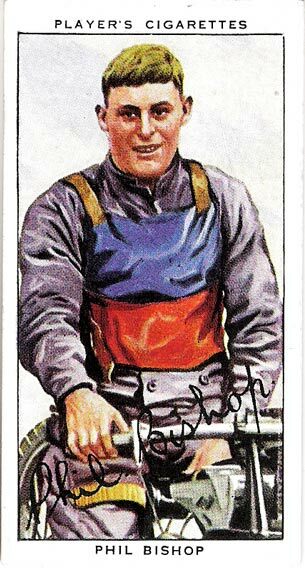 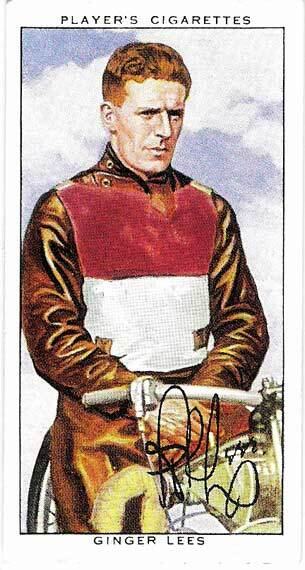 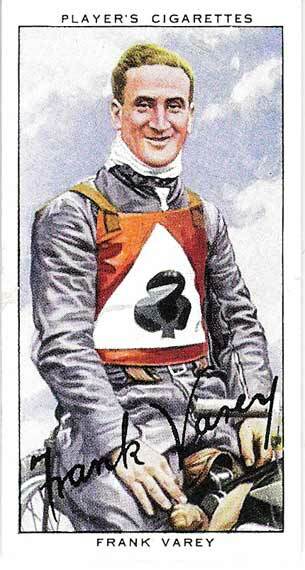 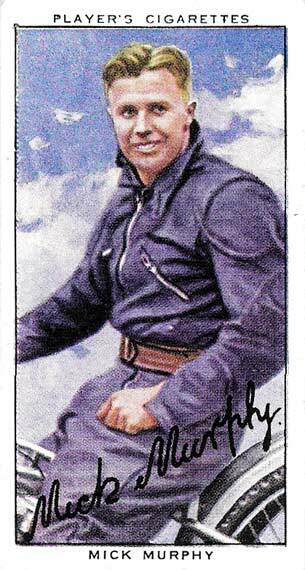 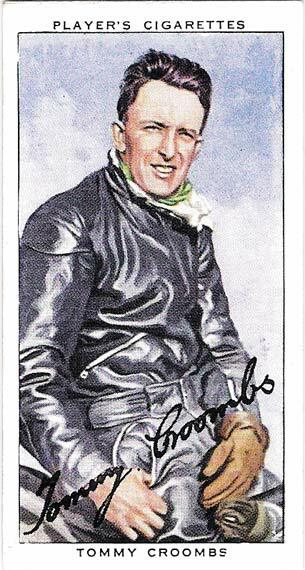 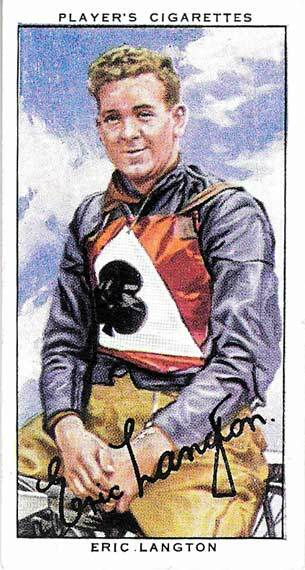 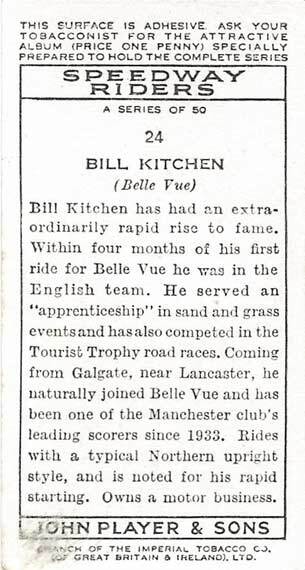 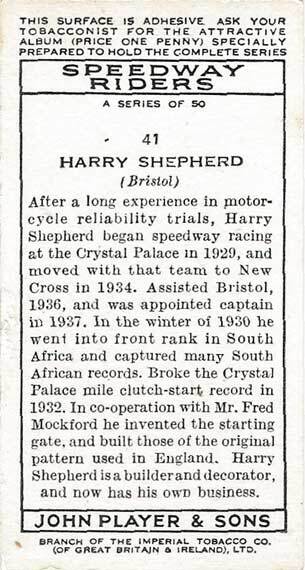 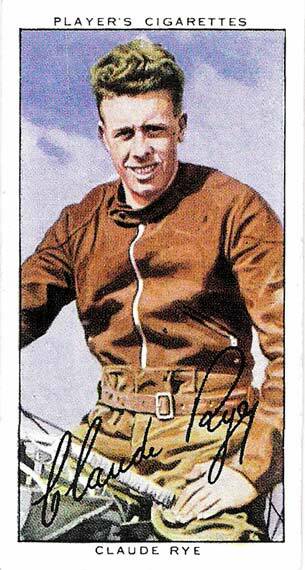 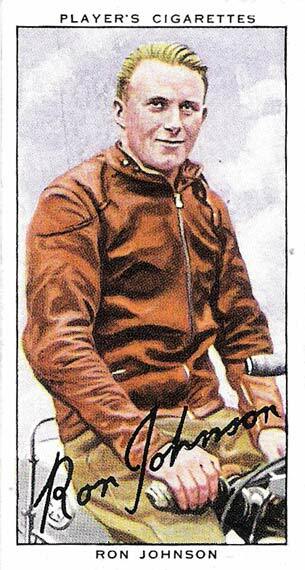 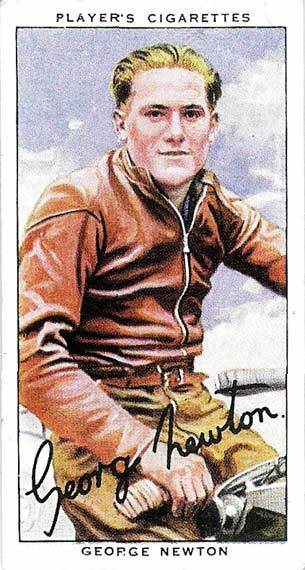 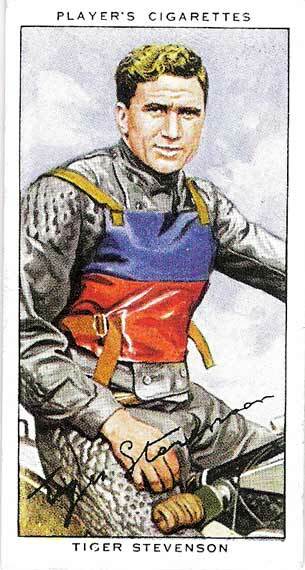 He couldn't remember winning the first ever race at Newcastle's Brough Park in 1929 when he was 17yrs old. 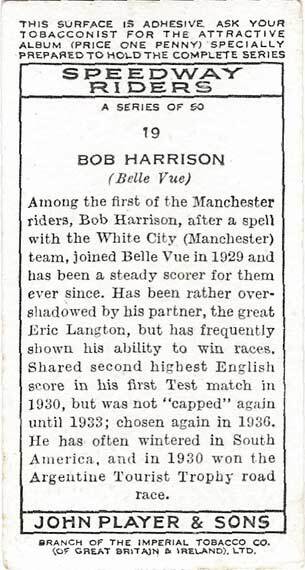 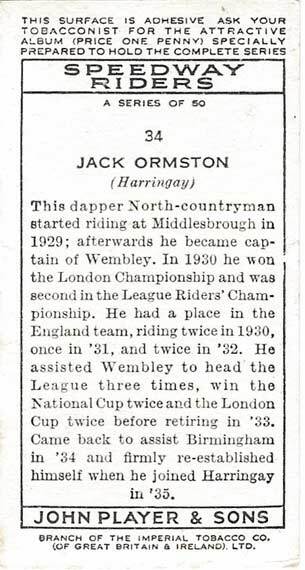 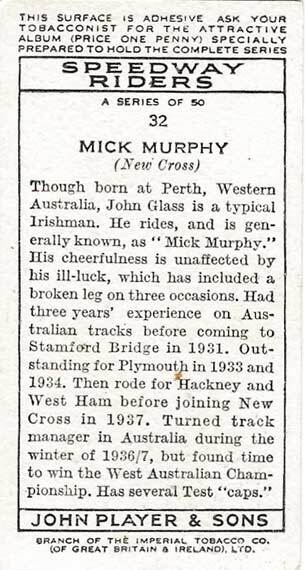 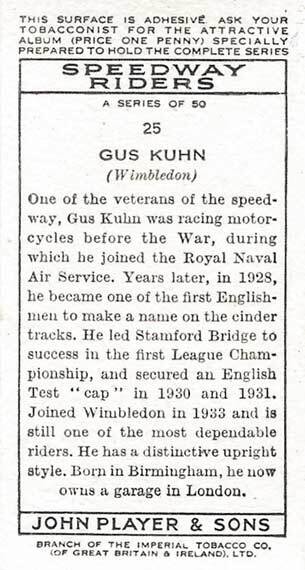 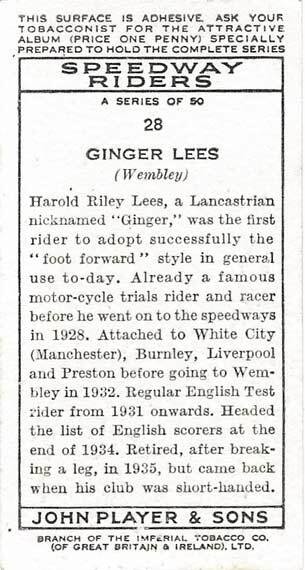 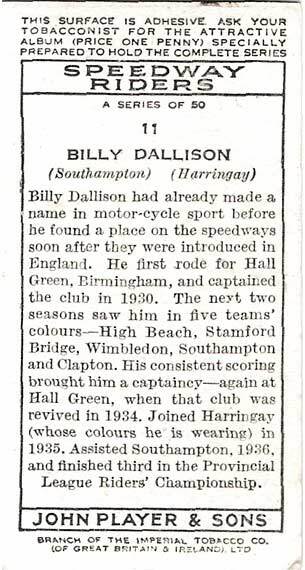 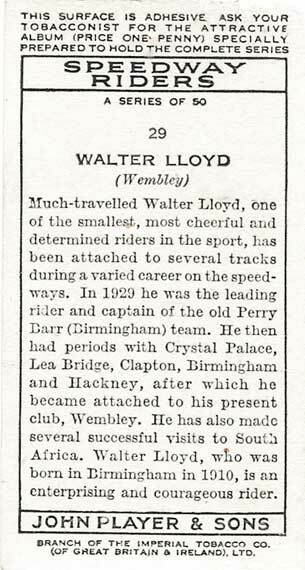 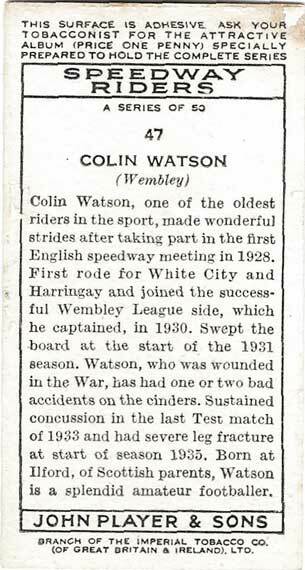 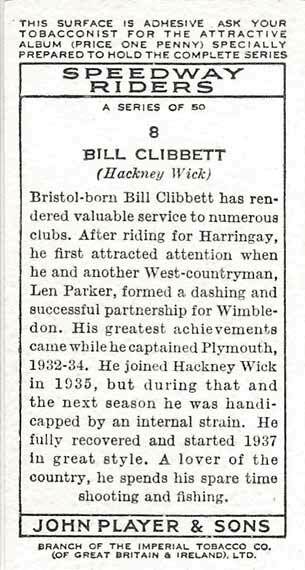 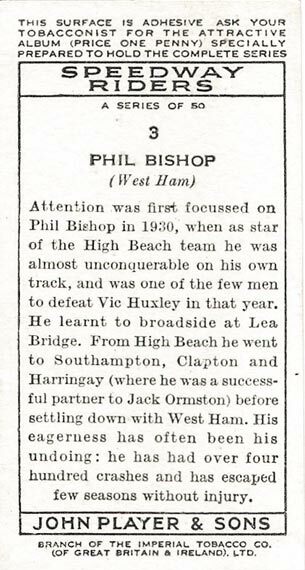 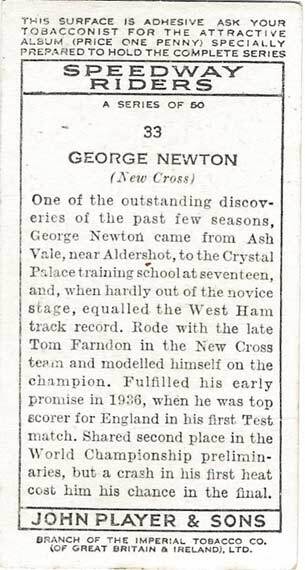 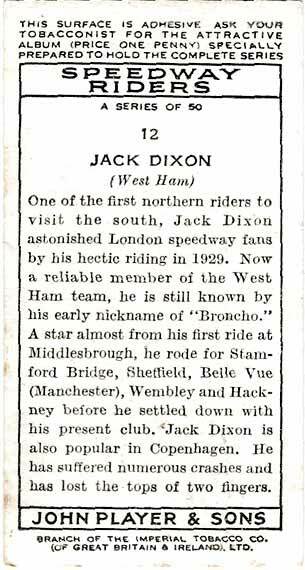 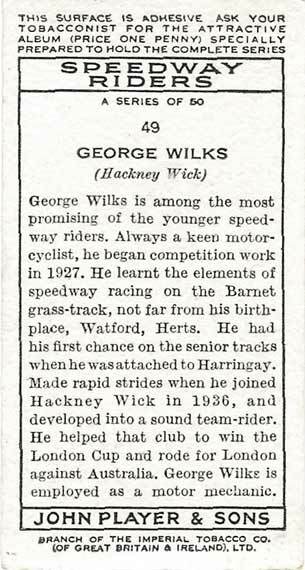 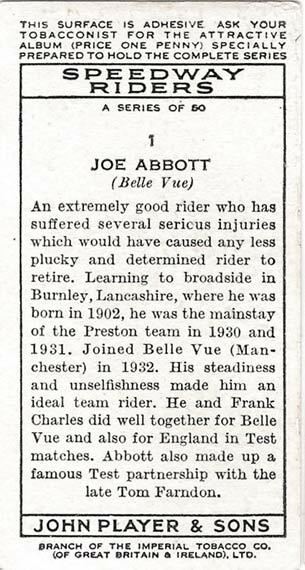 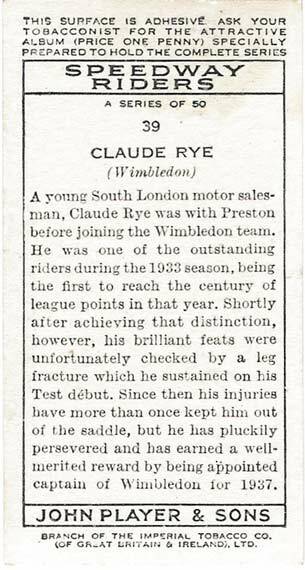 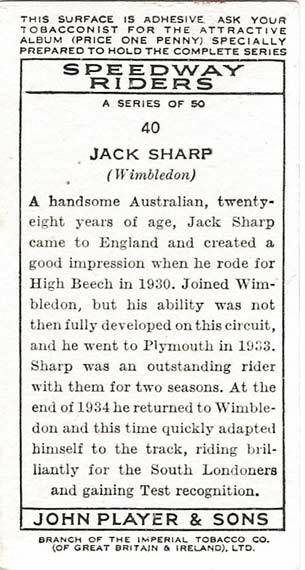 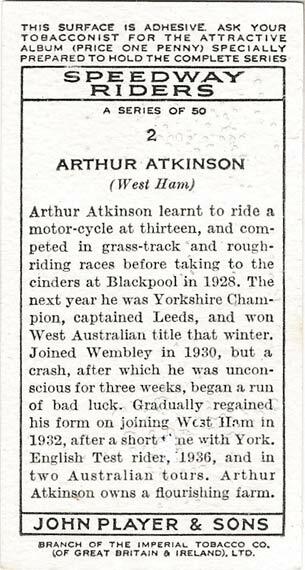 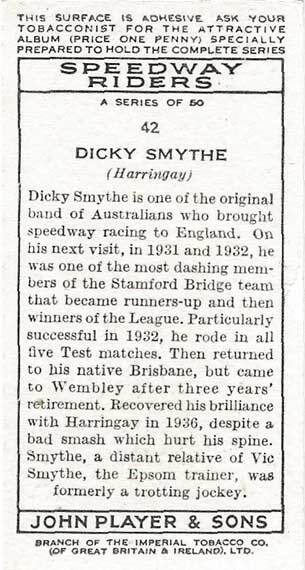 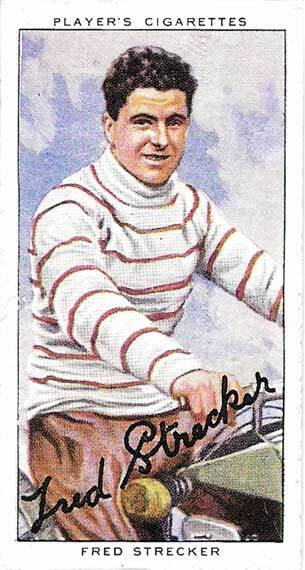 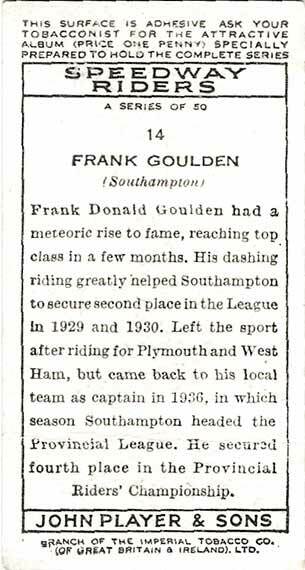 He told me he was earning huge amounts of money when he was riding for Wembley in the early 1930s. 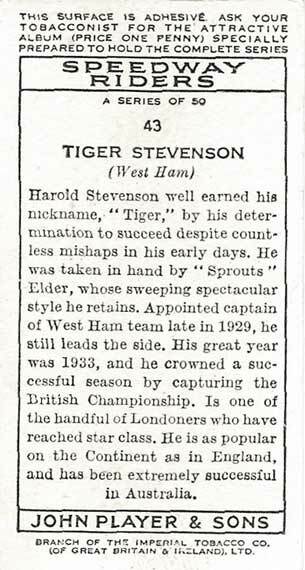 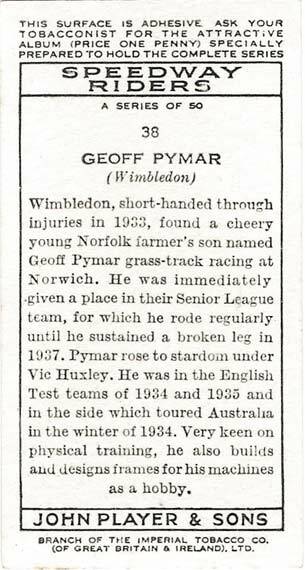 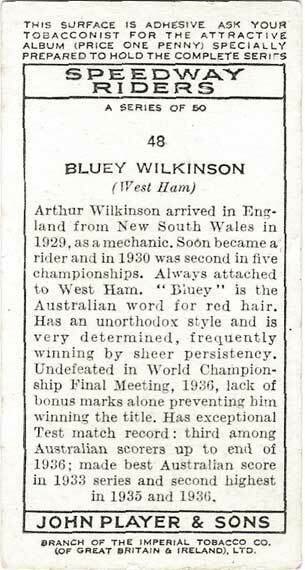 He was proud to tell me that he was a member of the first England touring side that sailed to Australia 1931/32? 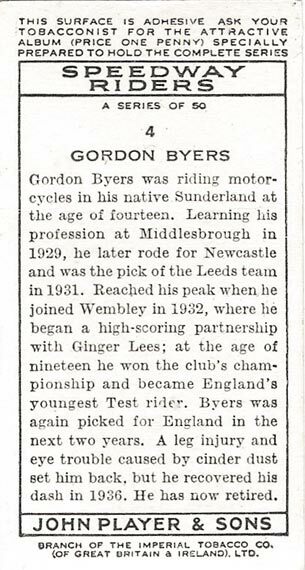 I took Gordon to Newcastle's belated 75th rider reunion in 2005 and he enjoyed the occasion although there was no-one left from his era at the function for him to reminisce with. 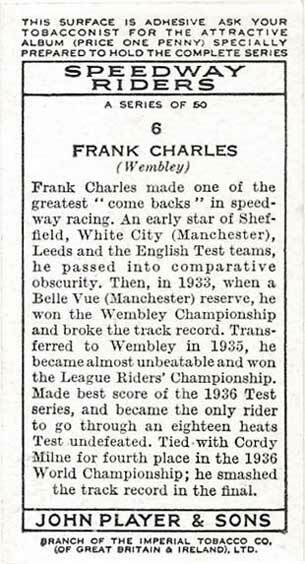 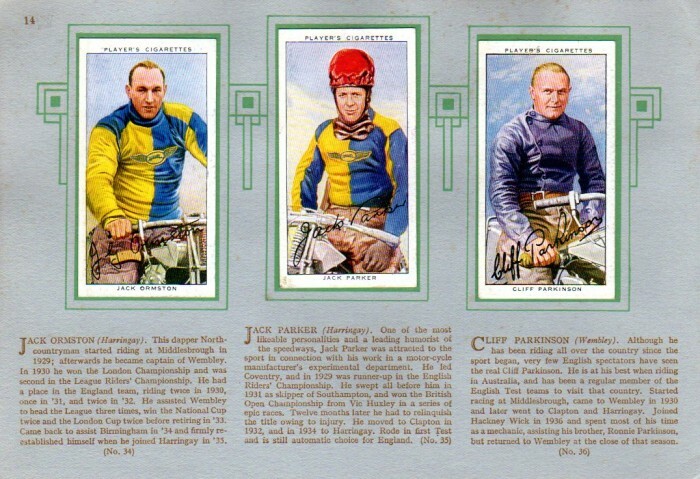 Frank was joint 4th in the 1936 world final, the first recognised world final. 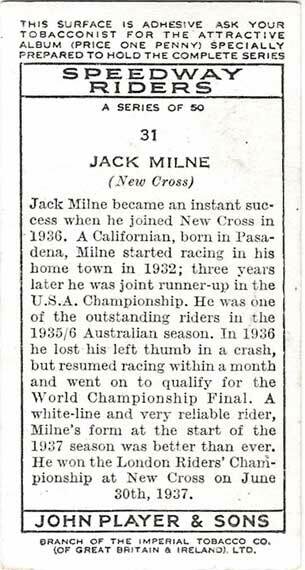 He shared 4th spot with American Cordy Milne breaking the track record in the process. 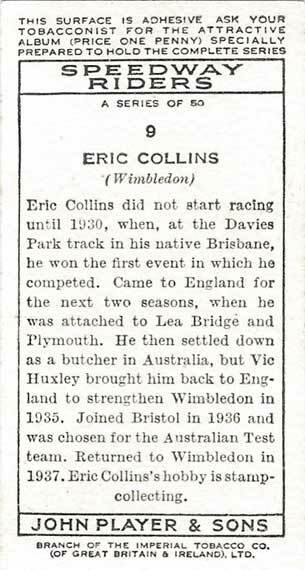 Eric was also a respected singer, he was a "Crooner", I believe! 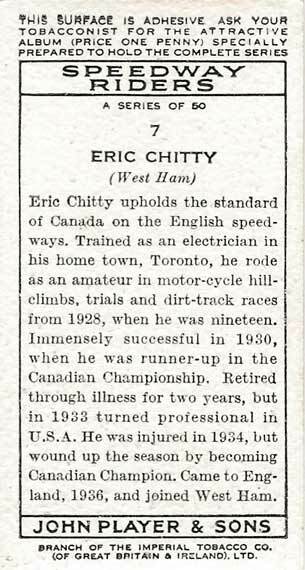 Reg Fearman told me he had presented an Eric Chitty 78rpm record to Eric's son a few years ago. 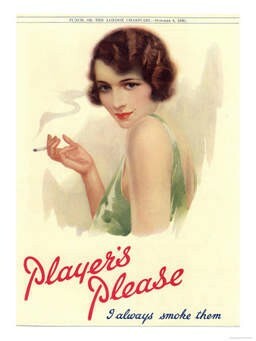 I don't know about Crooning I am a Rolling Stones fan! 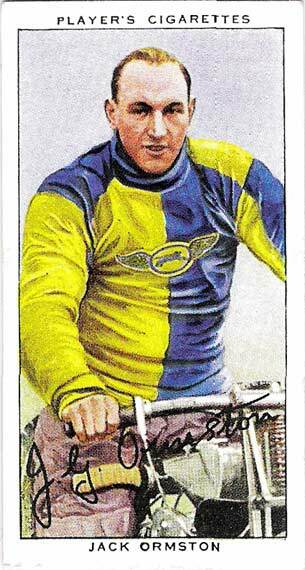 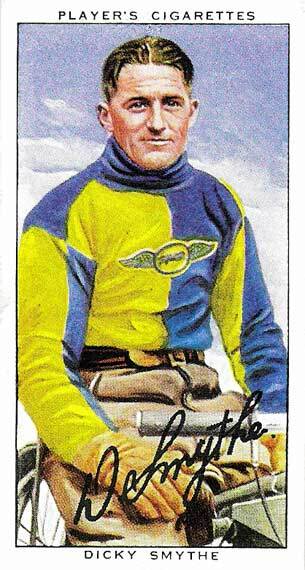 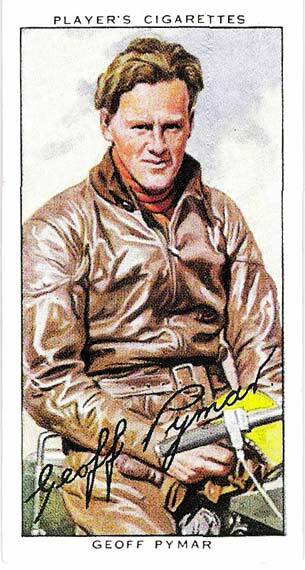 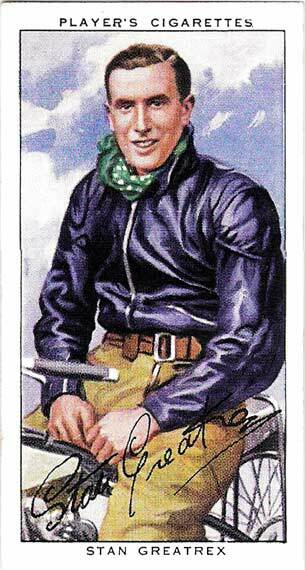 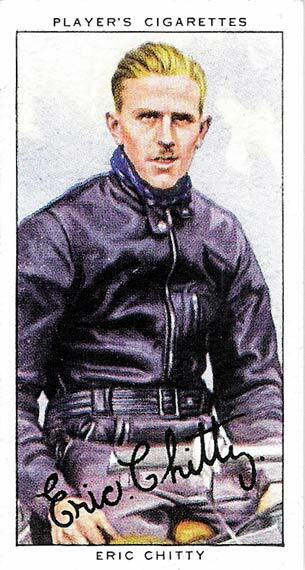 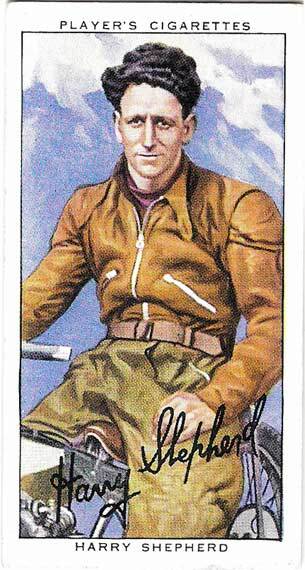 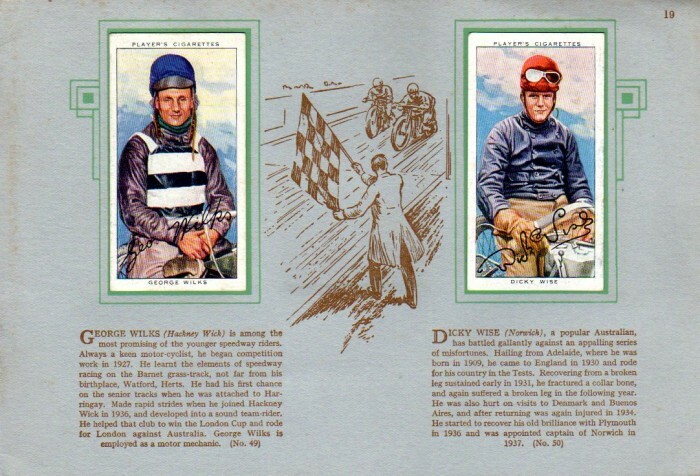 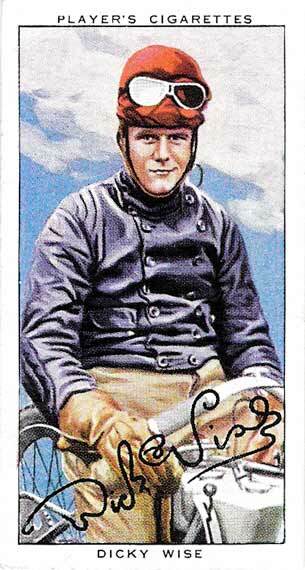 Daredevil Eric was a stamp collector, not the most macho of sidelines to riding speedway. 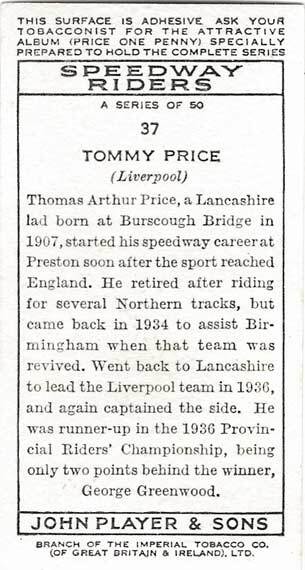 Tommy was an inside line rider. 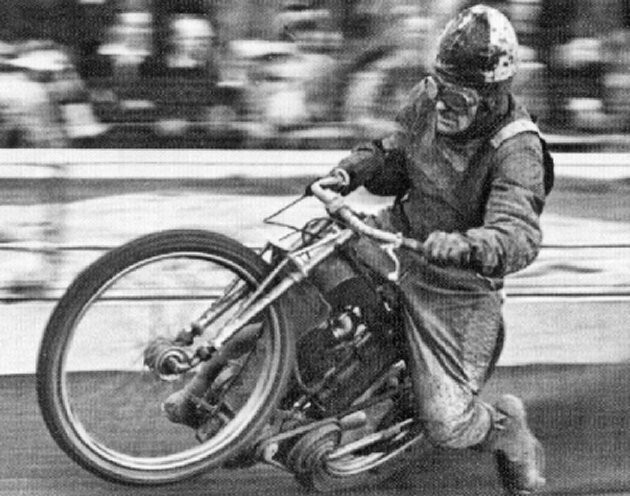 Passing on the inside is an art form but for me speedway is at its greatest when a rider goes out wide and passes coming out of a bend. 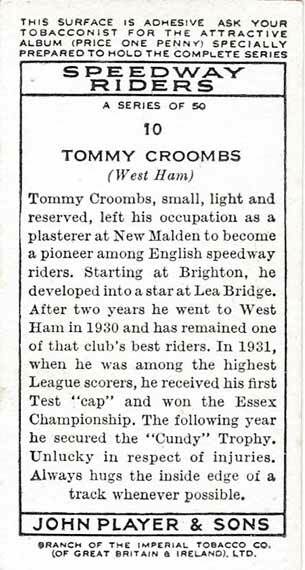 No disrespect to Tommy, I just enjoy a fast outside line rider more. 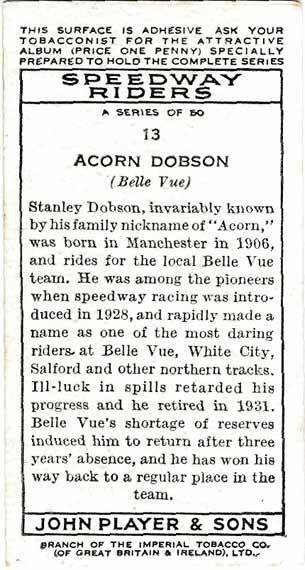 Stan was nicknamed "Acorn" because some thought his head resembled an Acorn! 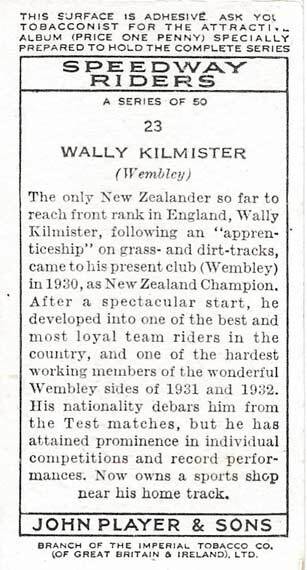 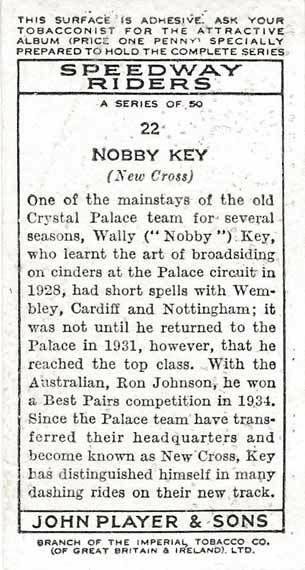 Wally was the first successful Kiwi to make an impact in the UK. 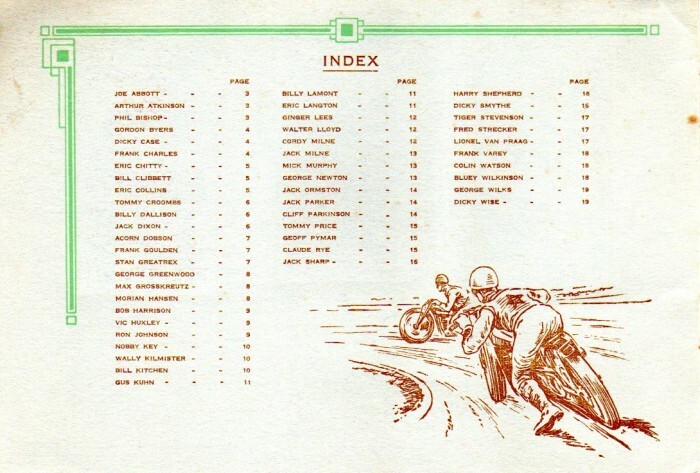 Who would have guessed that Kiwi Wally was paving the way for Ronnie Moore, Barry Briggs and Ivan Mauger! 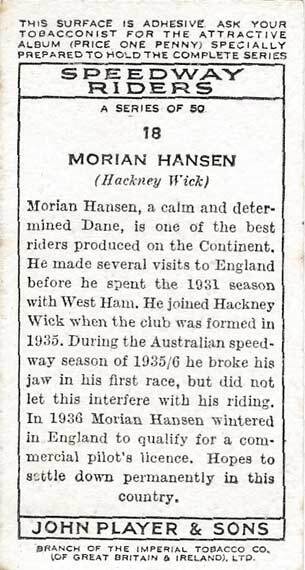 A top English rider. 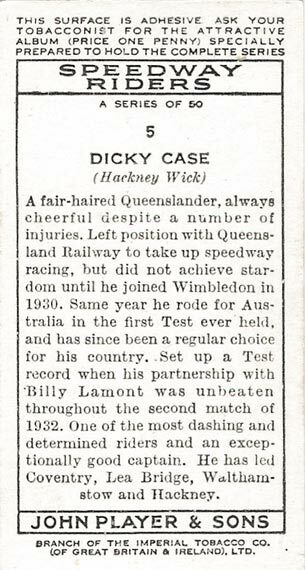 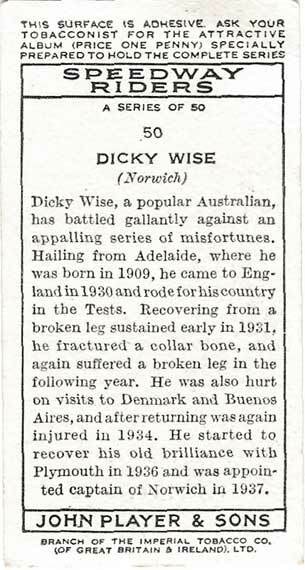 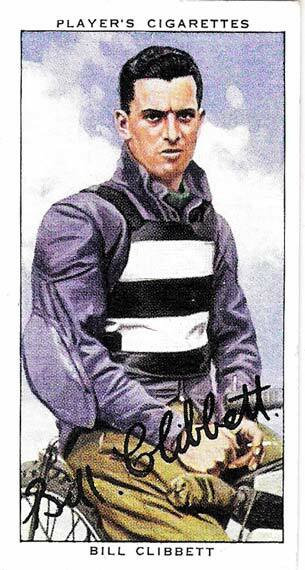 He was beaten in a run off by Australian Lionel Van Praag for the 1936 world title. 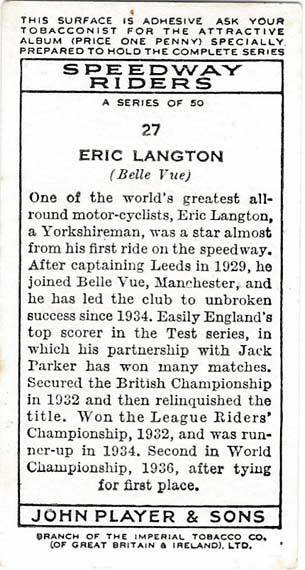 He started at Leeds and must be the best ever Leeds rider. 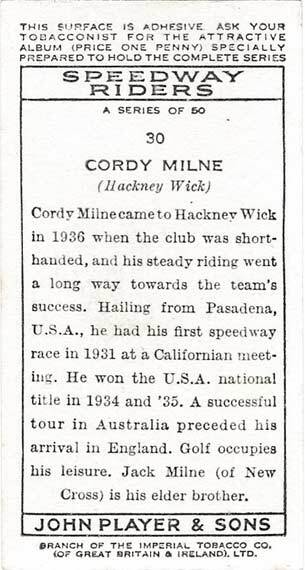 Cordy was the younger brother of Jack Milne. 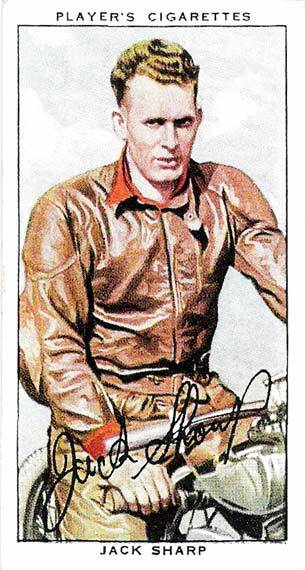 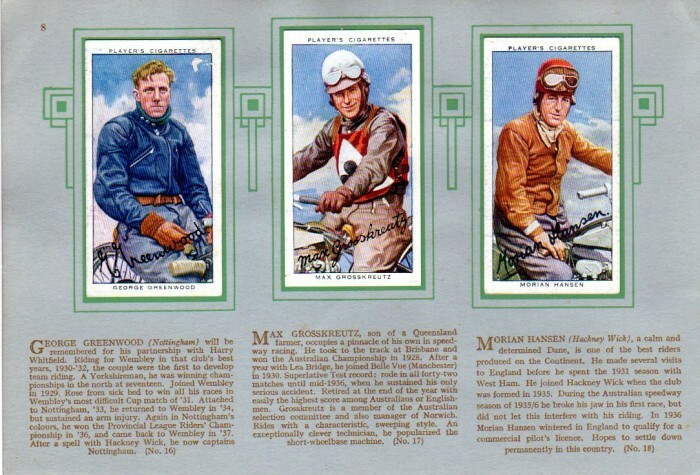 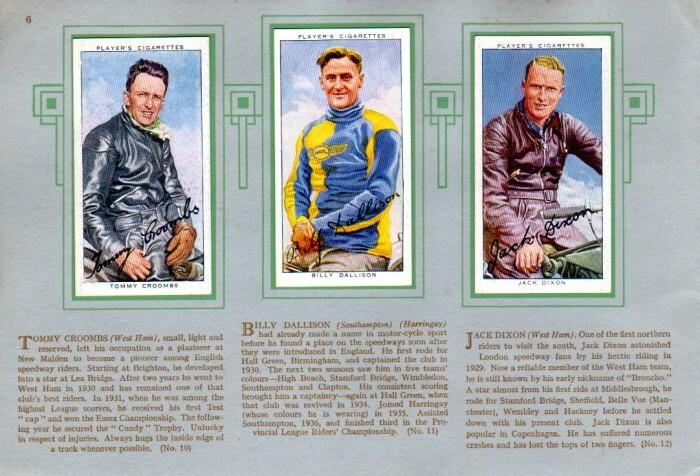 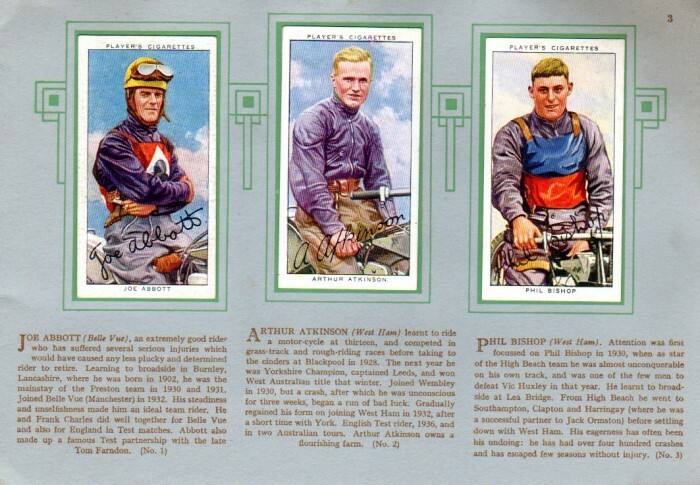 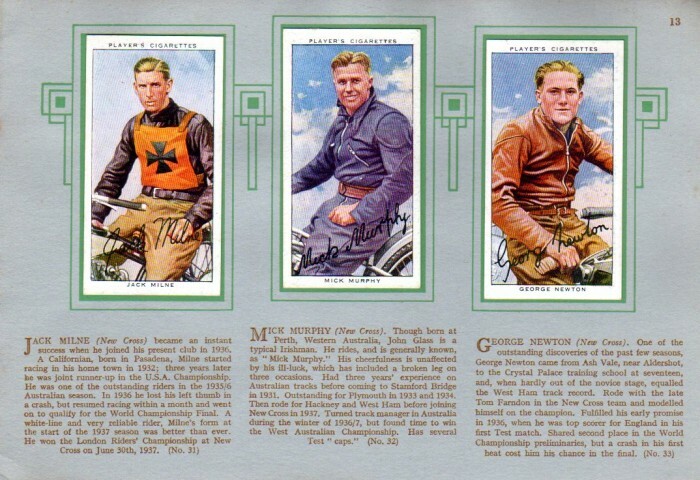 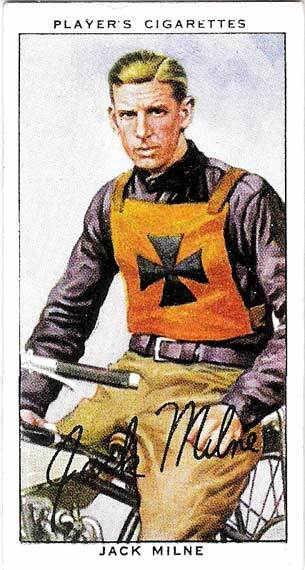 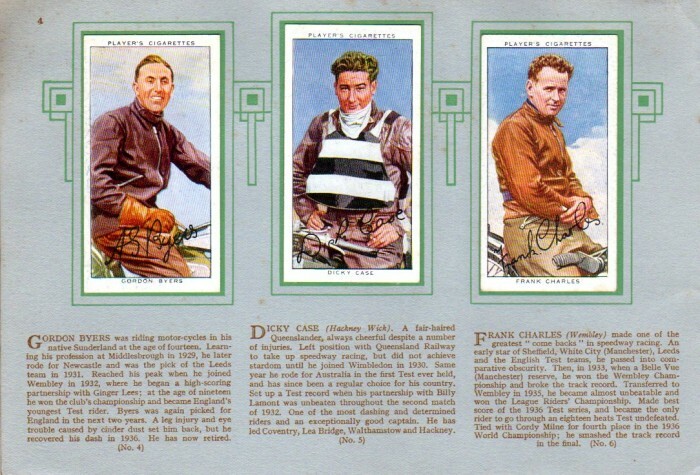 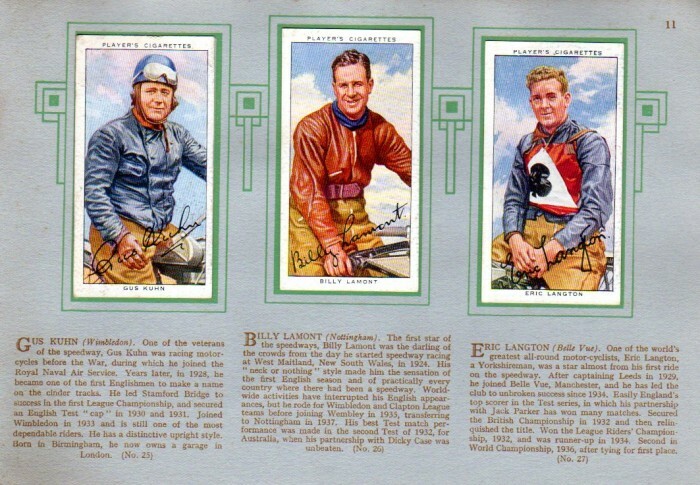 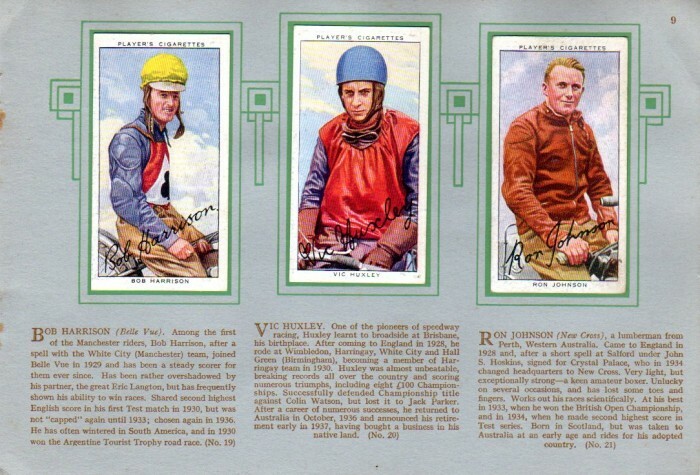 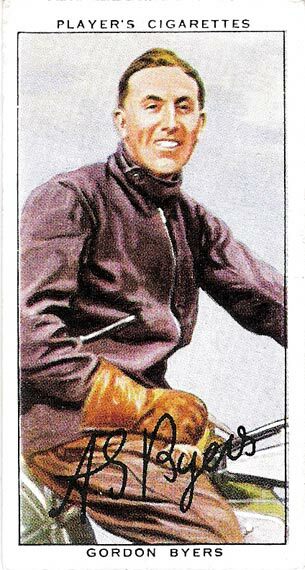 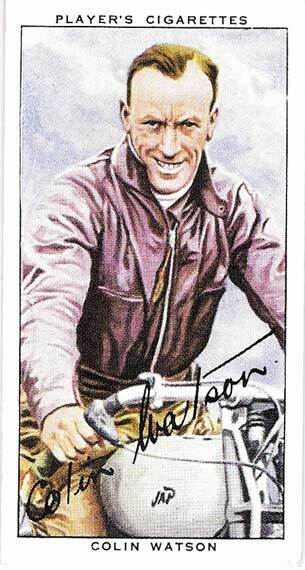 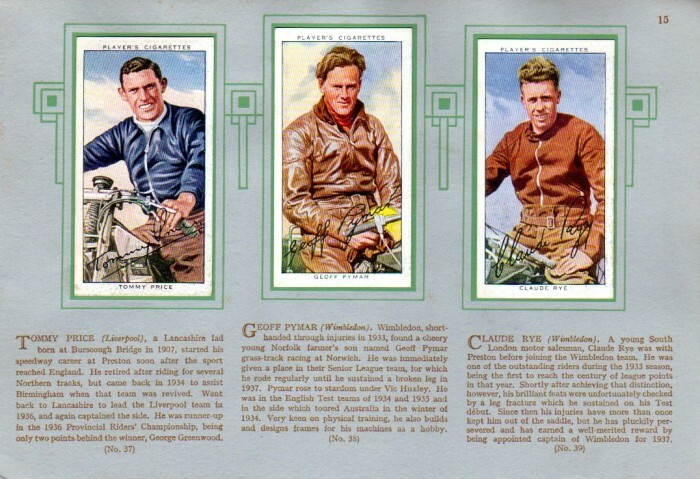 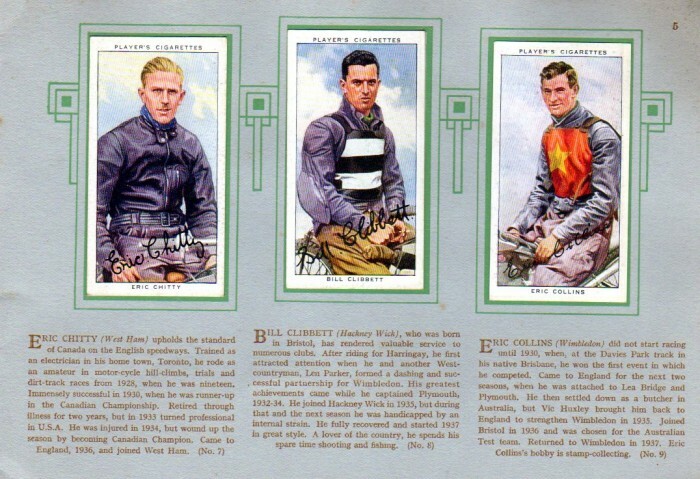 The Milne brothers were the pick of the American riders of the early 1930s era. 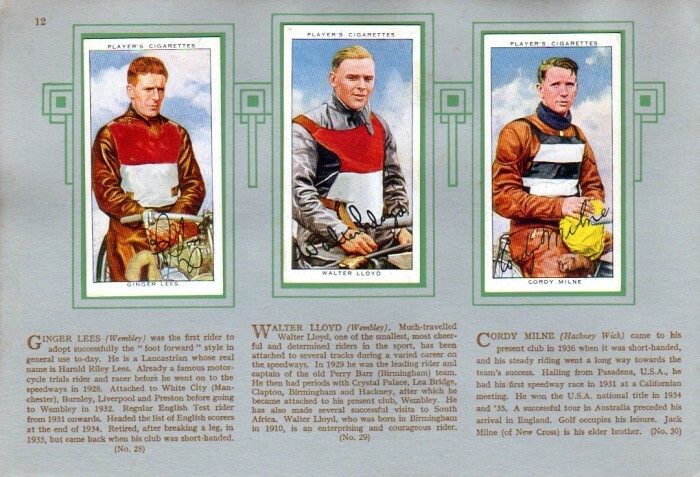 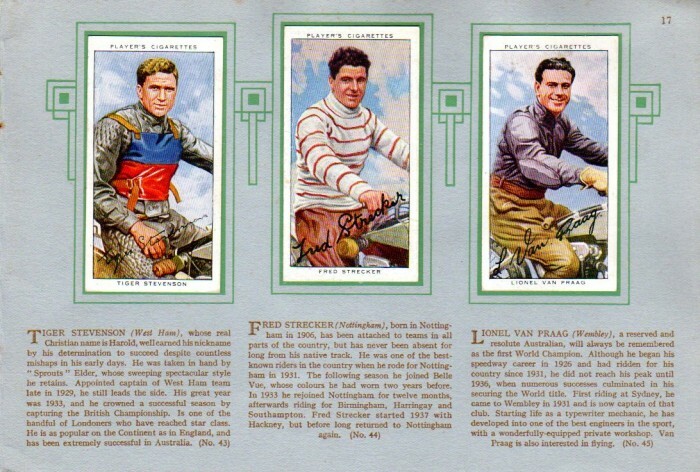 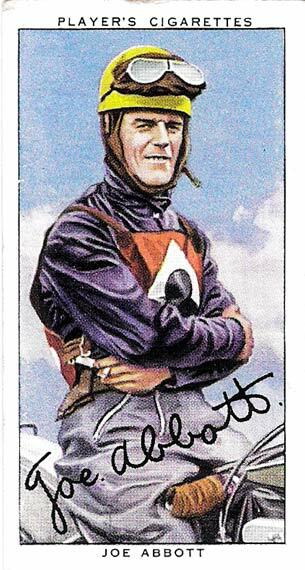 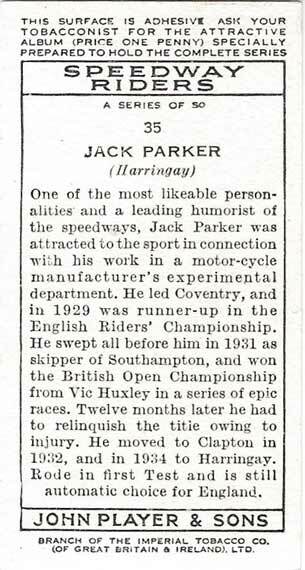 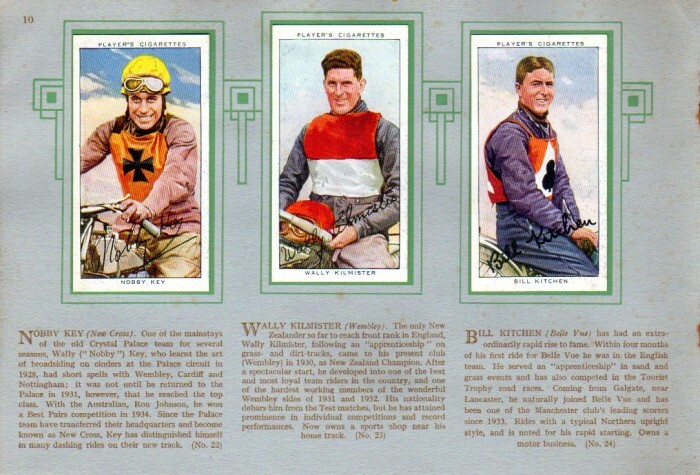 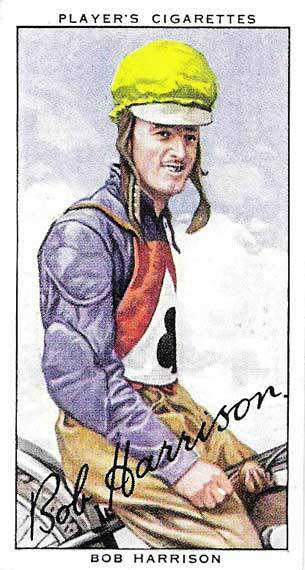 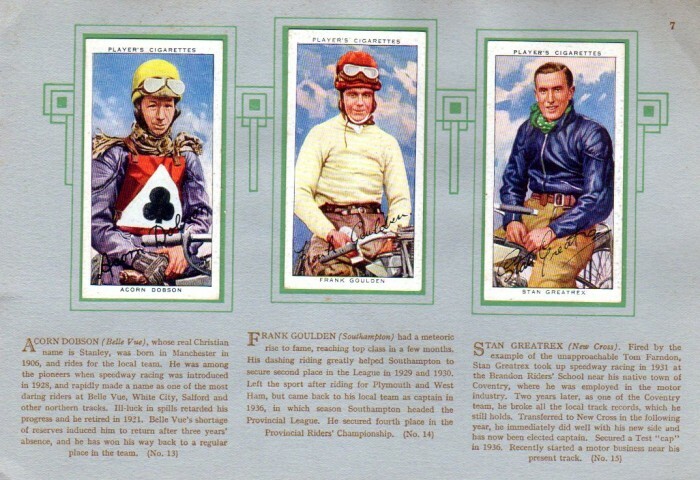 Jack and brother Cordy finished 2nd and 3rd in the 1937 World Championship and had the second world war not came along two years later one or both of the brothers could easily have been world champion. 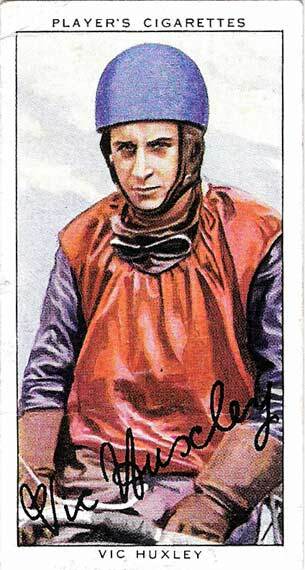 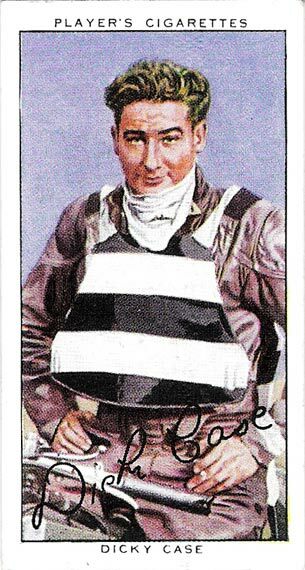 Harry was a nuts and bolts guy and was involved in inventing the starting gate, something so fundamental to us modern fans, but yes the sport started without starting gates. 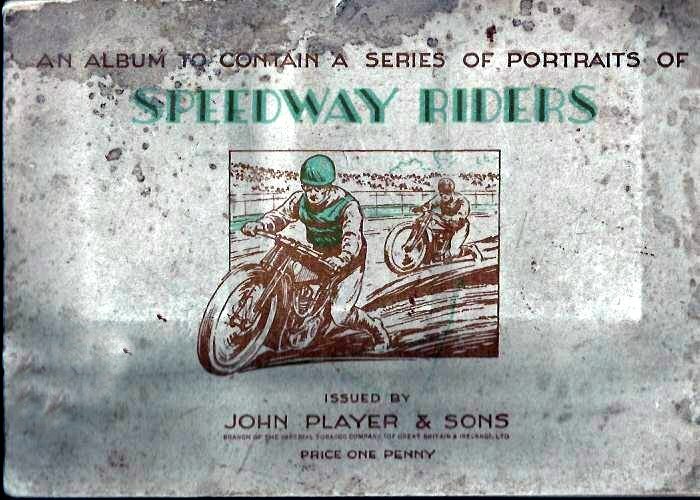 They had to be invented and manufactured for all the UK tracks to use. 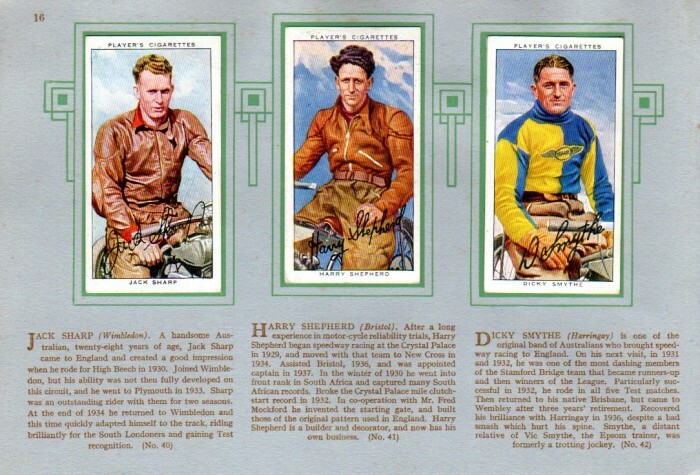 Harry was your man for this. 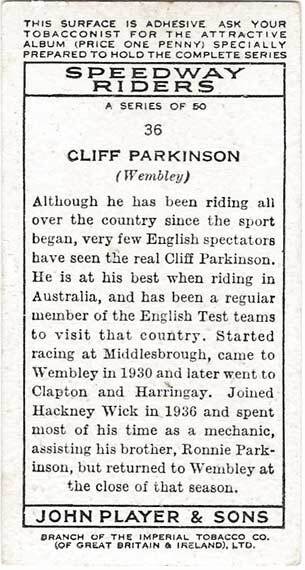 Tiger reversed the trend of Aussie riders coming to the UK and being successful. 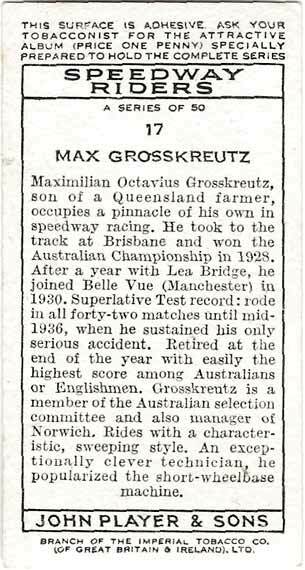 He travelled to OZ and rode there with lots of success. 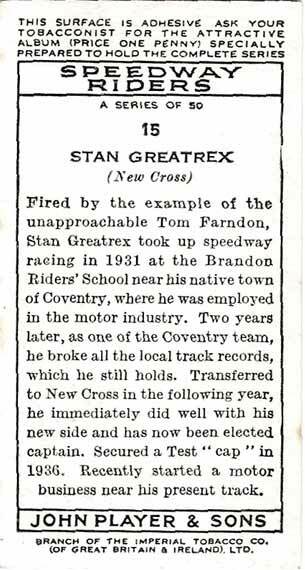 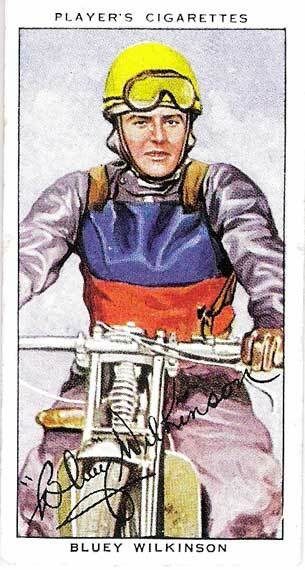 Frank rode a Scott 500cc 2-stroke machine when he started. 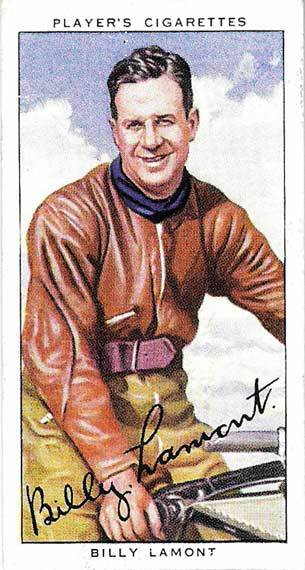 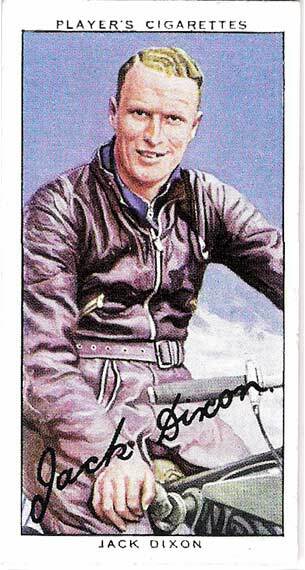 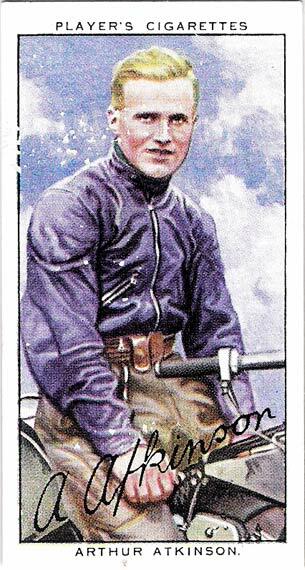 The Scott's paintwork was mainly red and he rode in Argentina wearing a red jersey. 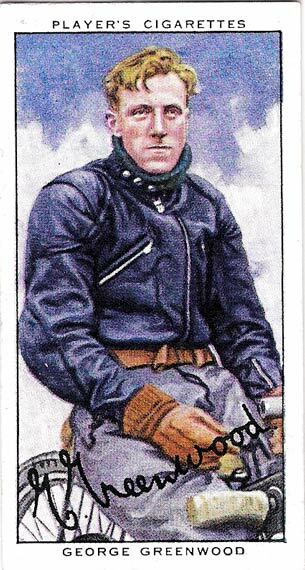 They nicknamed him the "Red Devil"
This artwork is suspect I have never seen a JAP fuel tank that shape. 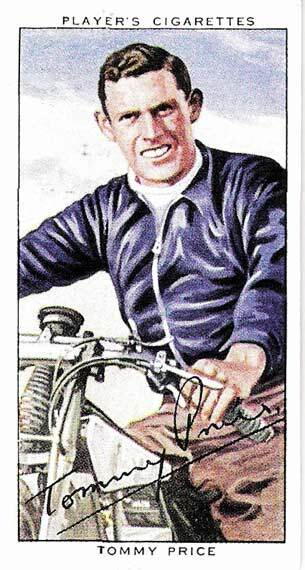 I think the artist has got it wrong! 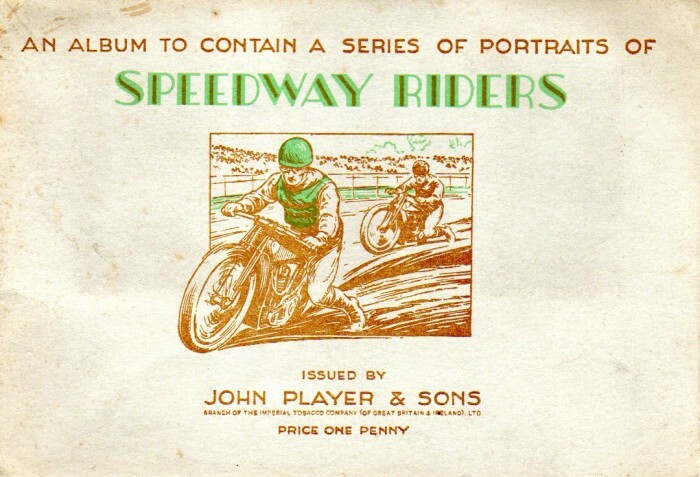 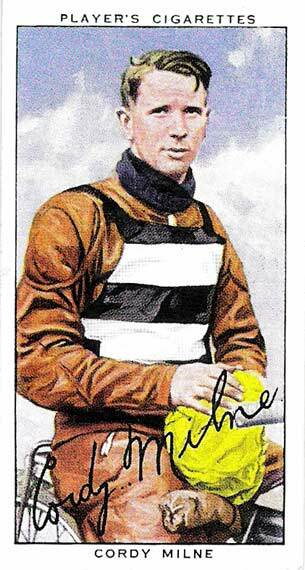 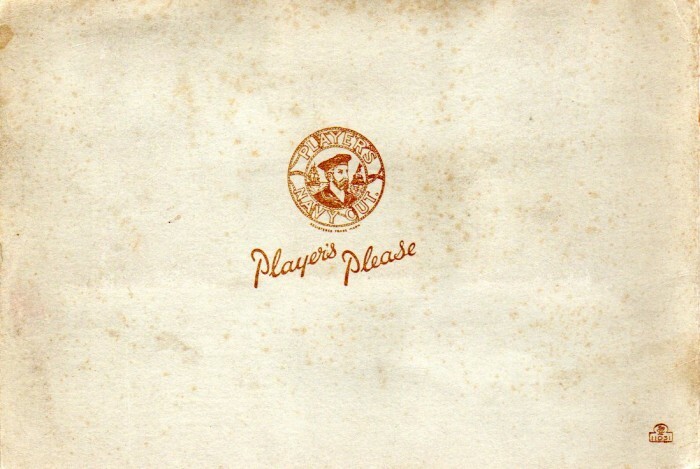 David says: Hi John, I am attaching scans of the Players booklet – as you are aware the cards were issued with gum on the backs and all you had to do was lick or moisten the back and stick the card into the special album sold by Players for one penny ! 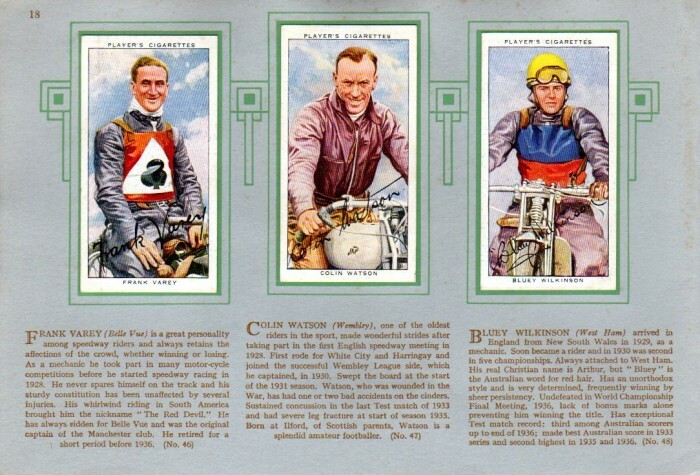 As you already have this set on your website I think that you would be interested to see how the cards were originally meant to be viewed (with a reasonable bit of artwork included).